In settlements of class-action suits against Visa, MasterCard, and American Express, the three largest credit-card issuers have agreed to allow merchants to add a surcharge to credit-card transactions. Retailers would thus be freed to price their goods and services two ways: a cash price, and a higher credit-card price to cover the 1 to 3 percent swipe fees merchants pay to the issuers. Such two-tiered pricing, if widely adopted, could significantly reduce the frequency with which consumers reach for their credit cards. And that could substantially alter the face of travel-rewards programs. Earning frequent-flyer points generally amounts to receiving a 1 to 2 percent rebate on the purchase. If the cash price delivered an equivalent or bigger discount, much of the incentive to use a credit card would be stripped away. Cash—or a debit card, which would be treated like cash in the two-tiered pricing system—would be king. And that’s probably as it should be. Under the current one-price-for-all model, the costs of loyalty points and rewards are being at least partly borne by consumers who don’t participate in the programs and receive no rewards at all. The want-nots are subsidizing the wants. If many consumers opted to pay the cash price, the card issuers’ budgets for awarding such marketing perks as frequent-flyer points would be diminished. And since more than half of all frequent-flyer miles are now earned through credit card sign-ups and charges, that would eventually reduce the number of frequent-flyer miles in circulation. Although the prospect of less-generous sign-up bonuses and fewer credit-card miles overall might be a negative for some mile collectors, there’s a potential upside to this scenario as well. With fewer miles chasing limited award seats, the shift could herald a new era of expanded award availability. And with less demand for award seats, there would be less pressure on the airlines to devalue their programs by raising award prices. At a minimum, the prospect of pricing that more accurately reflects a retailer’s actual costs should be welcomed as a move in the direction of transparency. Whether retailers will take advantage of the new pricing flexibility remains to be seen. If they do, consumers who participate in rewards schemes could find their programs to be that much more rewarding. 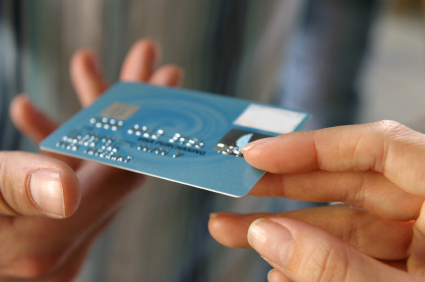 What would choose to pay: the cash price, or the credit-card price with a 2 percent surcharge?